More than 25% of international assignees leave their employer within two years of returning home. 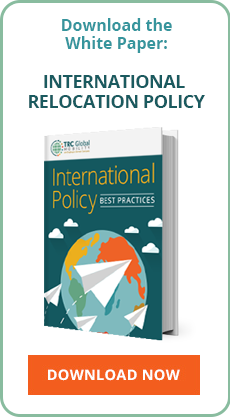 With such a substantial investment in each international assignment, TRC recommends that your company plan for a successful re-entry from the beginning of the process. TRC’s repatriation services can help combat any reverse culture shock issues the assignee or family may experience. We address how to deal with change and offer tactics for reconnecting with family and friends. TRC can manage the entire departure process from the host country. Services include lease termination, deposit refund, dilapidation negotiations, dilapidation remediation coordination and documentation, utilities termination and final billing, post office notification, de-registration from local government, de-registration from schools, de-registration of vehicles and temporary living accommodations. TRC will coordinate the return of the assignee’s household goods to the departure location or the next assignment location. TRC will arrange temporary housing in the home country or new location until permanent housing is secured. TRC can provide home search assistance if the assignee is not returning to the departure residence. TRC’s cross-cultural partners can help U.S. expatriates re-assimilate to American culture, helping to alleviate stress. TRC’s experienced career counselors will work closely with the spouse or partner, helping him or her to capitalize on the expatriate experience gained and re-enter the job market in the departure or new location.